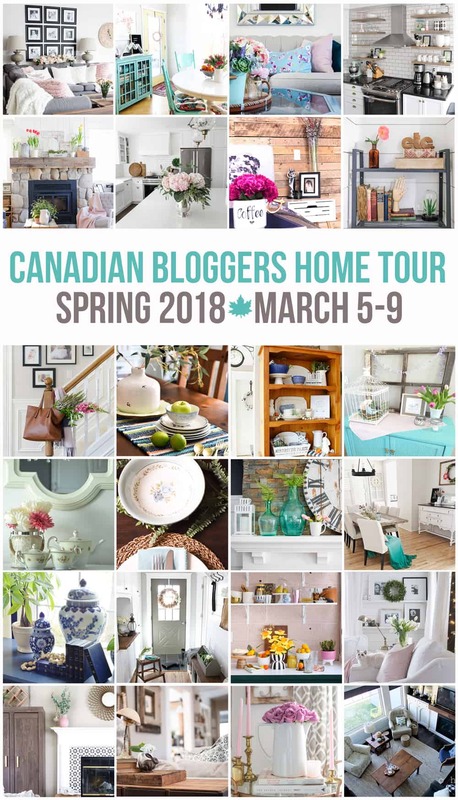 I’m over the moon excited to be a part of the Canadian Bloggers Spring Home Tour hosted by Home Made Lovely and The DIY Mommy this week! If you’re joining me for the first time, I’m so glad you stopped by. Welcome! 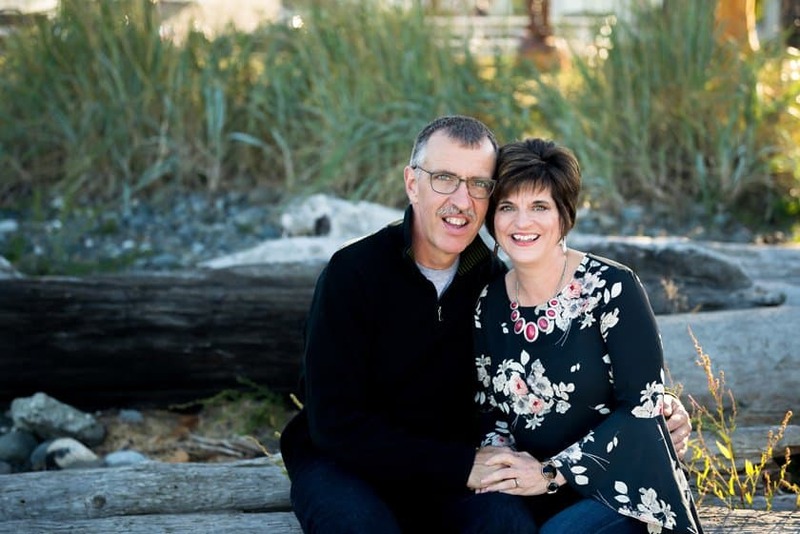 By introduction, I’m Rita Joy ~ a farmer’s daughter from Montana who fell in love with a Canadian at college. I married that guy :), and this year will mark our 28th anniversary. 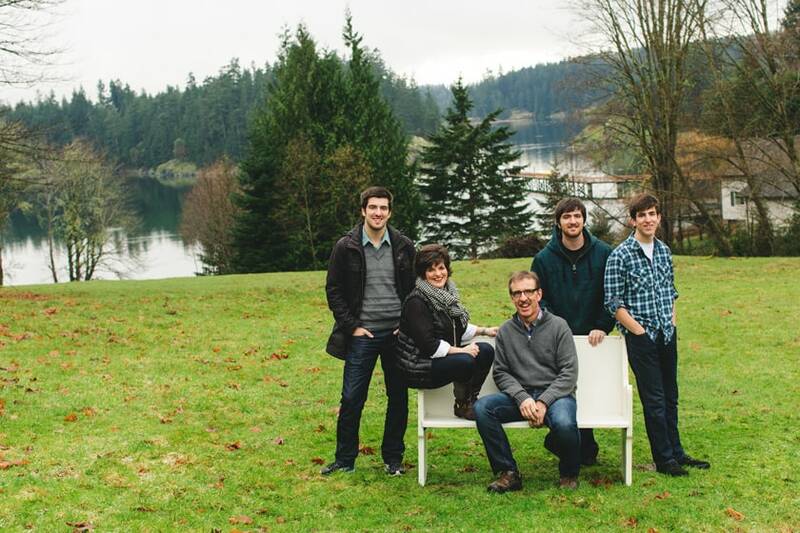 We raised our 3 boys while living and working at a year round Christian camp on an island off of Vancouver Island ~ exactly the opposite of where I grew up on the prairies! 2 years ago, our jobs changed and we moved to a nearby town and bought the first house of our own ~ a cute little townhouse. That’s where you’ll be visiting today. It’s still a process figuring out what fits and functions well in our new space. The longer we live here, though, the more I’m falling in love with it. 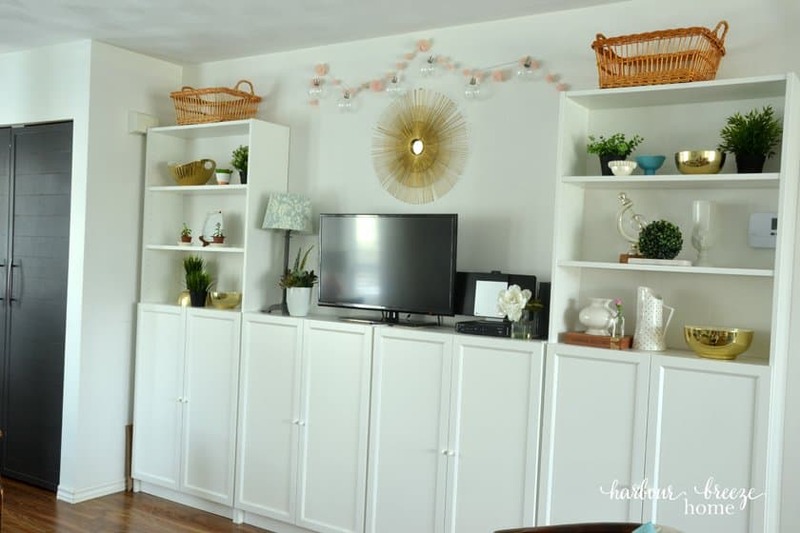 It was so much fun to add some Spring touches to this small space. This Billy Bookcase system from Ikea is a lifesaver in our small space. The lower cabinets hide away our office supplies and books, and the top shelves give me a chance to add some personality into the space. 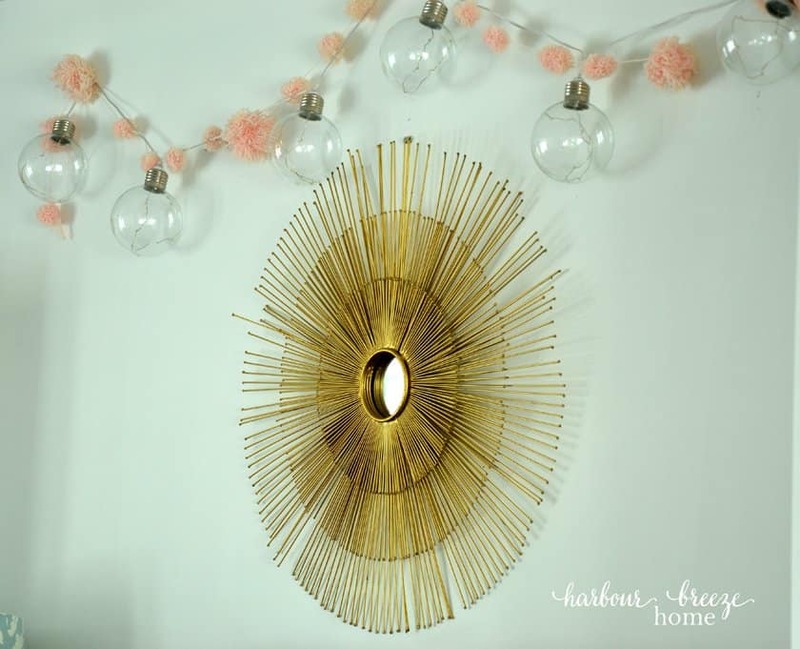 The inspiration for the gold accents came when I discovered a great clearance sale at Homesense. They add a touch of sparkle and shine. Greenery – both real and faux – add a nice pop of color and life against the white background. I picked up the over-sized light bulbs at an after Christmas sale, and I’ve been anxious to find a place to put them. I wrapped a pink pom-pom garland around the wire and used the pom-poms to disguise the picture frame hooks that I hung them with. The cord hides behind the side of the bookcase, and in the evening we can just switch the battery operation on. It works like a charm! 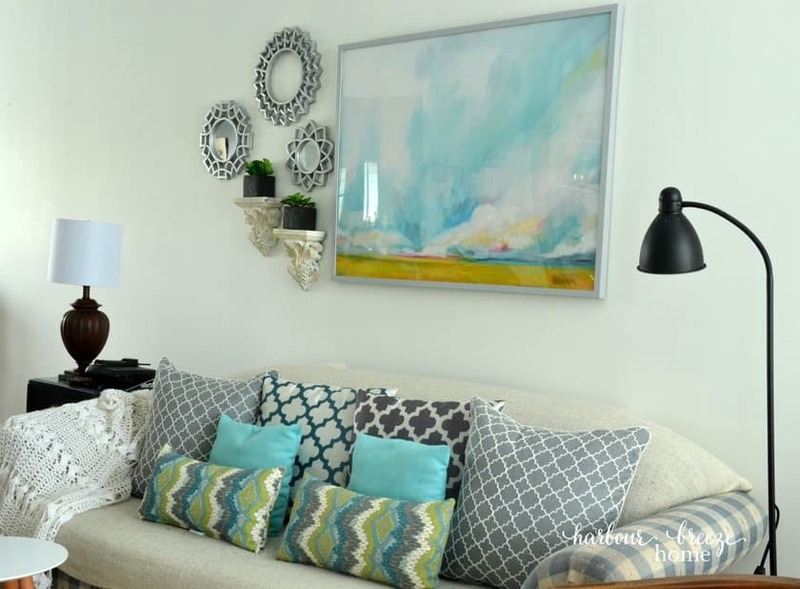 Colorful artwork is a wonderful way to add a dramatic pop of color and freshness to a space. 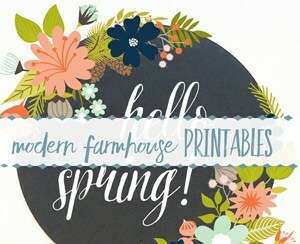 This print from Minted used to hang in our bedroom. 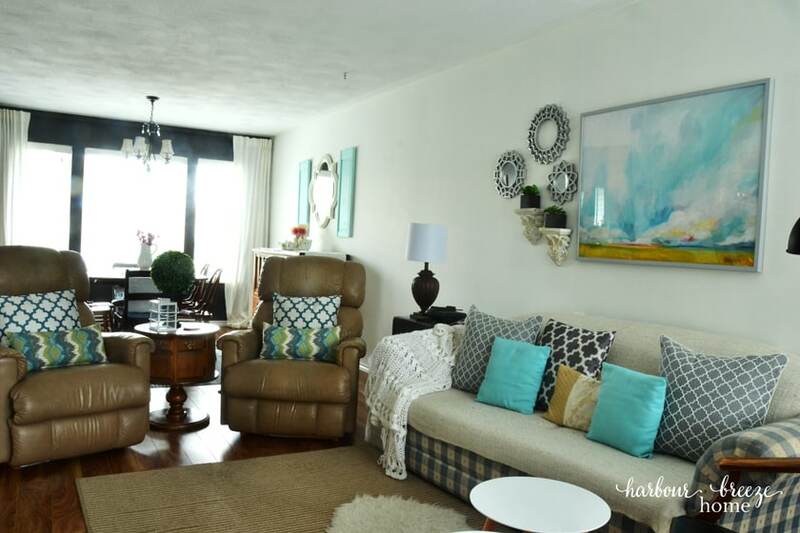 I switched it around and am loving the aqua, yellow, and pink colors it gives to the Living & Dining Room space. We removed our heavy wooden coffee table and replaced it with 2 sleek little end tables from Superstore. We just love how they look and function. Since they are lightweight, we can easily pick them up and use them wherever we’d like ~ and it makes for more room to move around in the tight space. You can never go wrong with adding flowers to a space. I have a mix of both fake (like the above on the Dining Room buffet) and fresh. I chose a big batch of pink carnations this time, as they last such a long time. Thank you so much for visiting me in my little townhouse home today. I’d love it if you stopped by again sometime. You can also find me on Facebook, Instagram, Pinterest, and YouTube. 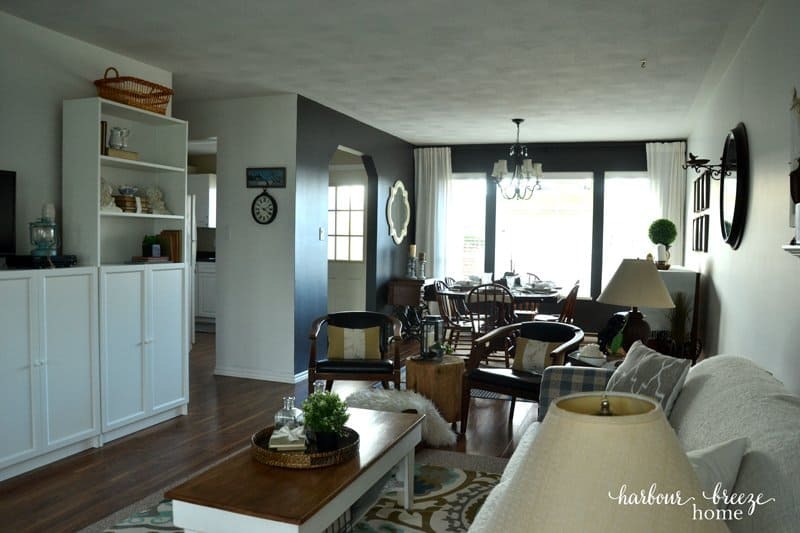 Don’t forget to check out the other homes in the Canadian Bloggers Spring Home Tour. The links are listed below the image. 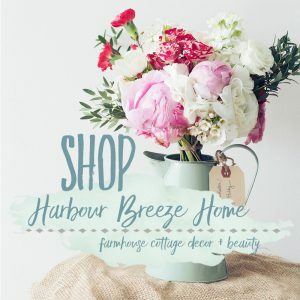 I’m confident that you’ll come away with great inspiration and ideas for making your home fresh for Spring. So happy you joined our tour this Spring! I especially love the flowers and tea cups! Thanks so much for all your hard work in helping host this tour, Shannon. Thanks for stopping by! Such a lovely spring tour. I love the greenery on the bookshelves! 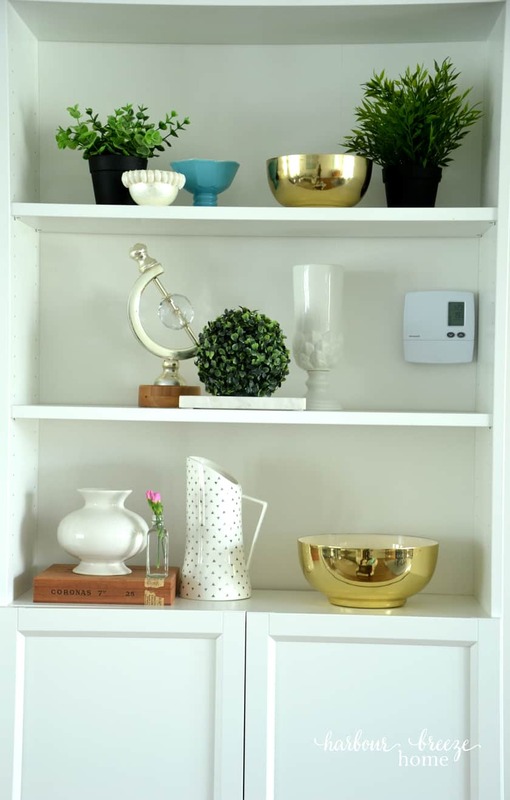 Loving all the spring touches you’ve added to your home! Well hey! 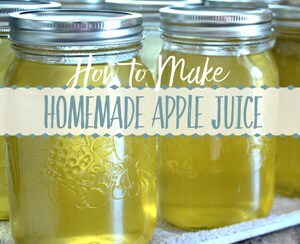 I think this is the first time I’ve actually been by your blog! Very cute, and I must say, those gold bowls are perfection. Love it all, though! and happy anniversary. Thanks for stopping by, Ariel! It’s nice to have you come for a visit. 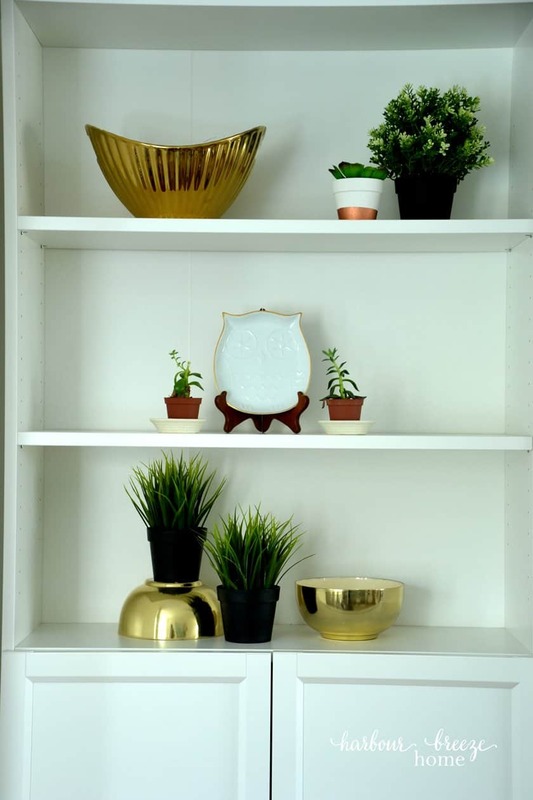 :) Yes, the gold bowls were my exciting find for this Spring. I just love hunting for inspiration! 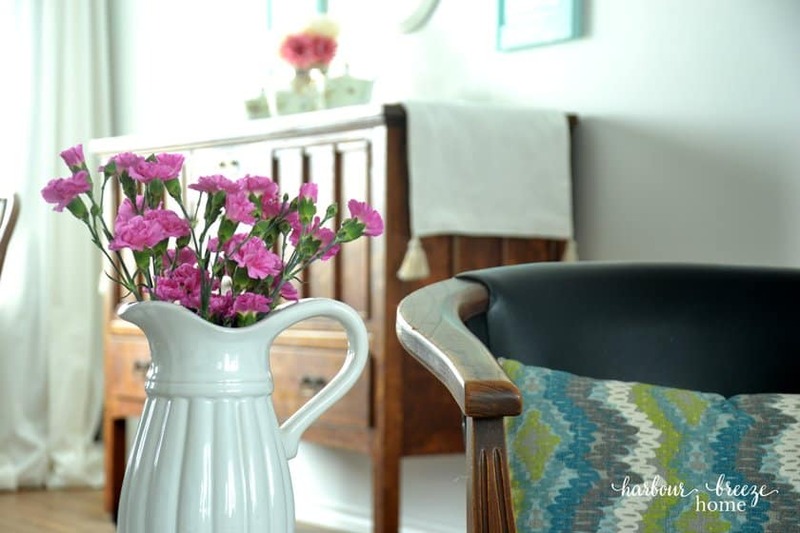 Love all your spring touches, especially the greenery and pretty flowers! 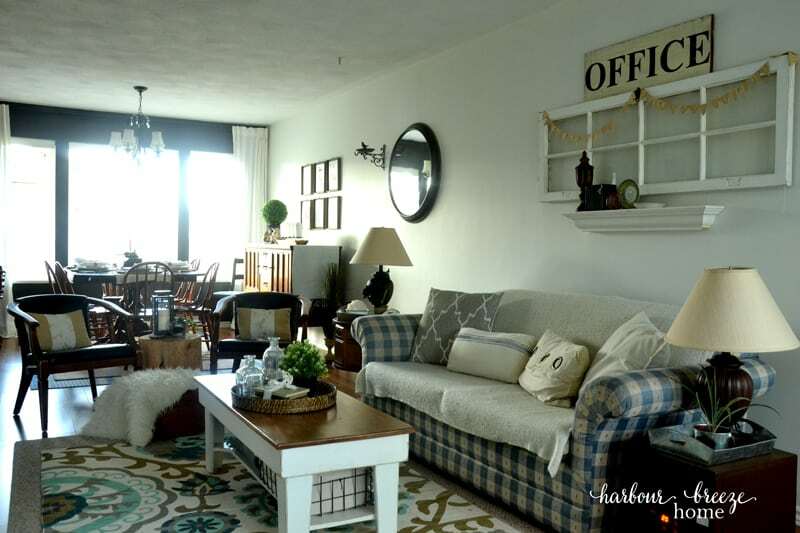 So in love with that print above your couch! And thanks for the helpful tips on bookcase styling, I need them as I am at a stand still with mine. Beautiful! Thanks for sharing and you have a lovely family! Beautiful, Rita! 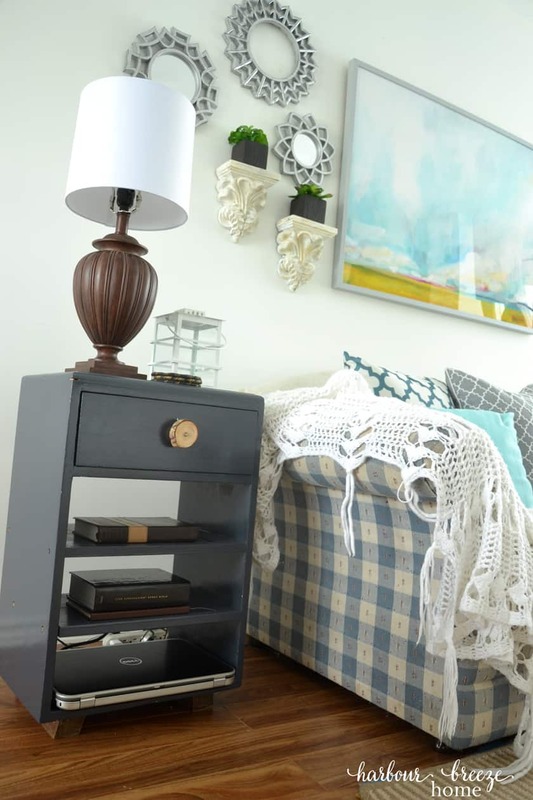 Love your shelf styling and the pops of turquoise! So pretty! I love all of the flowers at this time of year too. What island are you on? We love touring around the islands in the summer. Beautiful home tour Rita. Your home looks bright and inviting! Lovely tour, Rita! 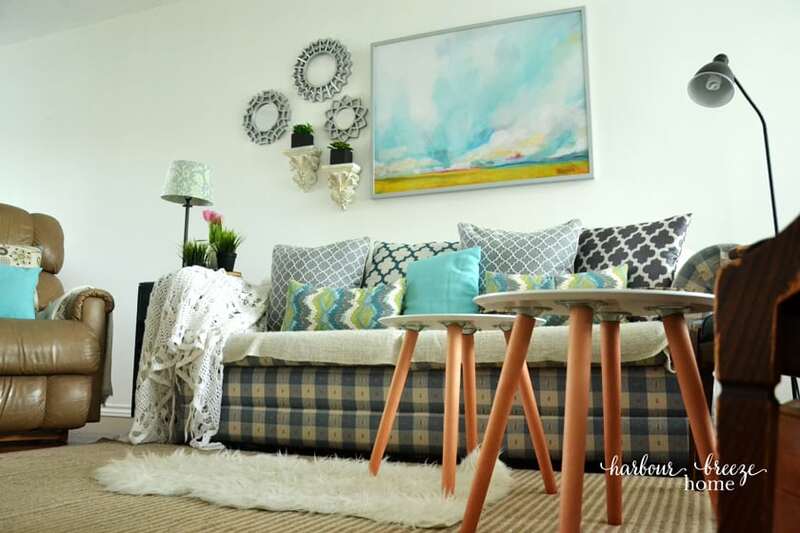 I love your fresh, springy touches and pops of colour! 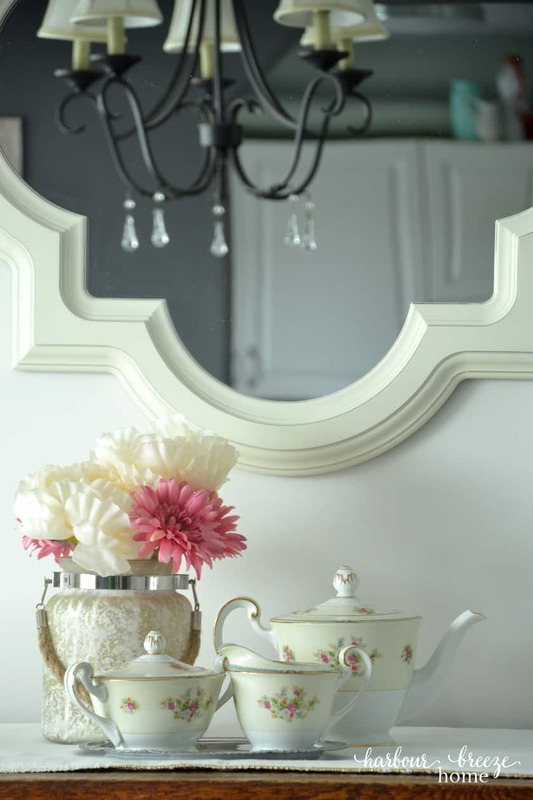 I love that vintage tea set, very spring! Beautiful tour – makes me feel all the spring things while I watch the snow fall outside.